Read Gerardo's review of Creed II. Life has become a balancing act for Adonis Creed. Between personal obligations and training for his next big fight, he is up against the challenge of his life. Facing an opponent with ties to his family’s past only intensifies his impending battle in the ring. Rocky Balboa is there by his side through it all and, together, Rocky and Adonis will confront their shared legacy, question what’s worth fighting for, and discover that nothing’s more important than family. Creed II is about going back to basics to rediscover what made you a champion in the first place, and remembering that, no matter where you go, you can’t escape your history. In the original CREED, the unapologetically Philadelphian story of Apollo Creed's son, Adonis Creed (Michael B. Jordan) looks forward to the future as a young and hopeful contender to the heavyweight boxing title. But in CREED II, Adonis, now a boxing champion, looks back at the legacy of his late father. 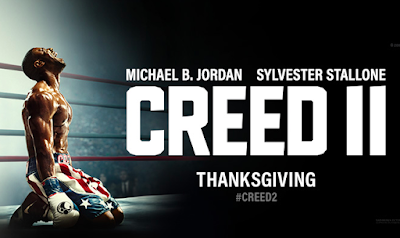 Creed is soon challenged by Viktor Drago (Florian Munteanu), the son of his father's killer, Ivan Drago (Dolph Lundgren). Haunted by the regret of not knowing his father, Adonis accepts the fight against the warnings of his coach Rocky Balboa (Sylvester Stallone) and pregnant fiancée Bianca (Tessa Thompson). Lonelier than he has ever been in his corner, Creed isn't prepared for the absolute beatdown that Viktor delivers to him. The image reminds us of the terrible exhibition match in 1985 that resulted in Apollo's death. The winner by Viktor's disqualification by a low blow after the whistle, Adonis must come back stronger than ever to defend his title from Viktor once more, this time with Rocky's help. 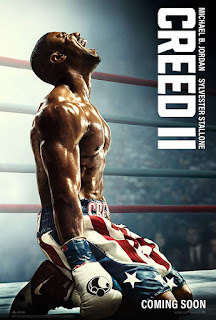 CREED II is a fun and gritty bout that will have you on the edge of your seat. Fans of the Rocky franchise will be treated to many callbacks and even some cameos. Russia will set the stage for what seems like a typical Patriotism vs The Red Star matchup but look closely and these boxing matches are more than that. For Adonis, grief is ever-lasting. For Viktor, honor is on the line. Jordan delivers a ranged performance showing great form while newcomer Munteanu shows incredible depth to a shallow character. The iconic training montages are at an all-time high, featuring Muhammad Ali-like under-the-pool workout and makeshift gymnasiums in the arid desert. CREED II only suffers from a formulaic, pastiche direction from Steven Caple Jr., but filling Ryan Coogler's shoes was a tall order from start. Gerardo (Senior Contributor) is a Venezuelan filmmaker. 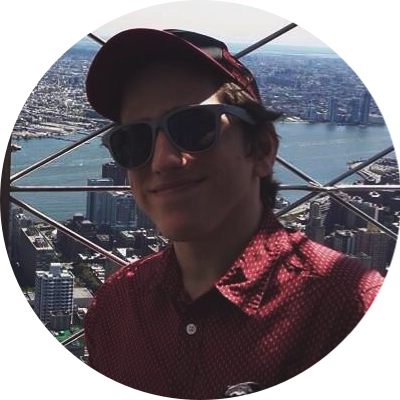 When he's not watching and reviewing the latest movies out in theaters, he can be found helping on a set, attending film festivals, or playing video games.